I recently had the pleasure to sit down with Matt Hayden-Welding instructor at Cedartown High School and talk about Skills USA welding competitions. I met Matt in Las Vegas at Fabtech 2012 and he was helping out with the AWS International Welding pre trials welding contest. After talking with Matt for a while, I learned that we had a lot in common. In fact, we actually graduated from the same welding school and had the same welding instructor. I have attended most every Fabtech for the last 20 plus years and every time they have the International Welding PRE Trials, I always stop by and check out the welds and projects done by Skills competitors. It is mind blowing to me that students who have not even entered the work force yet can produce such good looking welds. And for that reason, I have always wondered why skills usa was not more publicized. So now I figured its time to do my part in getting the word out there. This from the skillsusa.org website..."SkillsUSA is a partnership of students, teachers and industry representatives working together to ensure America has a skilled workforce." 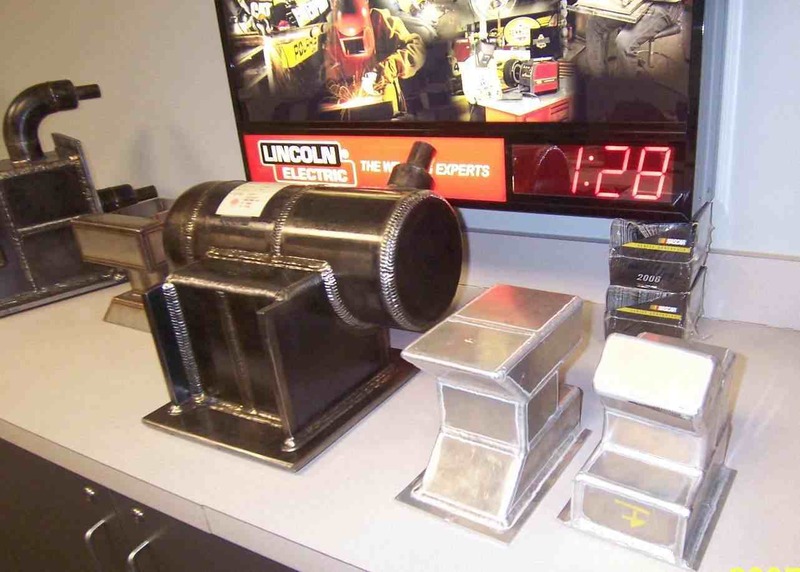 Starting at a local and regional level, welding students benefit greatly from competition. Ever heard the saying "Iron sharpens iron." ? That actually comes from the Bible. Basically, it means that we can all help each other out in this world by being willing to share information and skills. ...And we all benefit from healthy competition. SkillsUSA is a way for welding students to get in the game. To get acquainted with how sharing information and skills can help all those involved. To get plugged in to some of the brightest and most talented welders and welding instructors in the country. Sure, it can be a lot of work but it can also be well worth the effort because every hour spent behind the hood is an investment in that students future. Skill is one thing that no one can take away from you. Over a 34 year welding career, I worked for employers who cut benefits, cut pay, cut vacation time...but the one thing they could not cut was skill. Skill is yours to keep. So my advice is to get skills. Skills usa is a great way to do that.